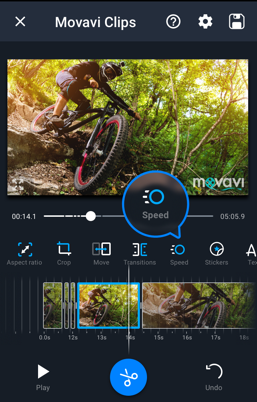 Movavi Clips is a free video editing app for Android that enables you to create stunning movies on your mobile device. Just shoot footage, add it to the timeline, cut out any unwanted parts, overlay good music, and your video is a movie! Download Movavi Clips from Google Play for free and try it for yourself! 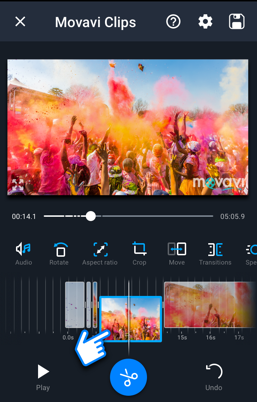 If you’ve ever wondered how to edit videos on an Android phone, wonder no more – you’ve found the right software. 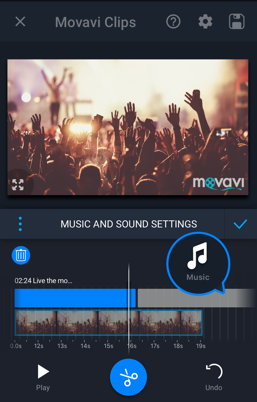 Download Movavi Clips for free from Google Play now and start expressing your creativity today! Want to Create Professional-Looking Videos? 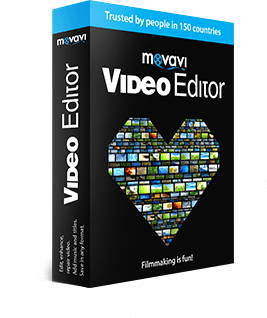 If you need more video editing tools or more precise controls, try Movavi Video Editor for PC or Mac. 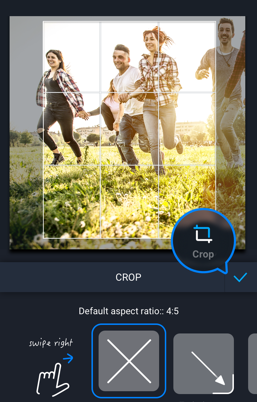 It’s a top-notch application that features fascinating filters and special effects (including Chroma key), advanced color settings, animated transitions, dozens of title styles, and much more. Download the program for free now!